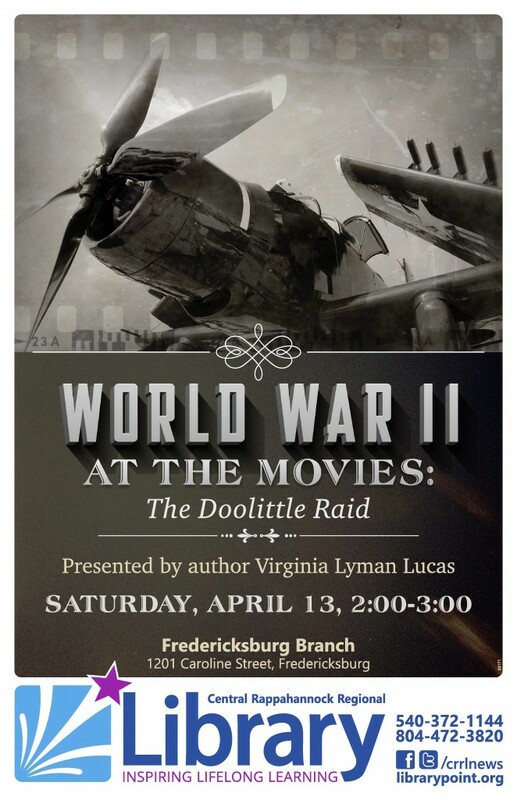 Virginia Lyman Lucas, author of World War II at the Movies, will present “The Doolittle Raid,” the first in a series of three lectures, at the Central Rappahannock Regional Library in the Fredericksburg, VA Branch. This event will take place on Saturday, April 13, 2019 from 2:00PM to 3:00PM. Good luck to you, Virginia!